Don't be tempted to go with one of the larger multi nationals. Sometimes smaller local companies are as good if not better. The problems you find with the larger companies is they tend to loose that personal touch. To start with the salespeople are just that, they are there just to get the sale, many of them only know the basics of the product they are selling. If you put 100 double glazing salespeople in a room and asked them what upvc stands for I bet less than half would know the answer, the answer is Unplasticised Polyvynal Chloride. Do not be easily swayed by some slick sales patter. Always remember they are there to advise you and guide you as to what best suits your requirements. They should be well versed on all legal requirements i.e toughened safety glass etc. I will cover this in more depth in a later post. Never buy from any salesperson who does not show you a sample window, lets face it you test drive a second hand car which costs hundreds of pounds so why would you spend thousands on something you can't see. Don't be tempted to go with one of the larger multi nationals. Sometimes smaller local companies are as good if not better. The problems you find with the larger companies is they tend to loose that personal touch. To start with the salespeople are just that, they are there just to get the sale, many of them only know the basics of the product they are selling. If you put 100 double glazing salespeople in a room and asked them what upvc stands for I bet less than half would know the answer, the answer is Unplasticised Polyvynal Chloride. Do not be easily swayed by some slick sales patter. Always remember they are there to advise you and guide you as to what best suits your requirements. If you are shown a sample get the sales persons to let you have it to look at, take your time, open and close it a few times examine it, ask any or as many questions as you like, make a list of questions you want to ask in advance of their visit, make sure you are satisfied with the answers you get, do not be afraid to ask anything no matter how trivial it may seem, remember you are the customer. Ask to see photographs of actual jobs they have installed, if possible ask to visit a recent installation, talk to the homeowner if possible get some feedback. Make sure the company is either Fensa or Certass members, ask to see a copy of the membership certificate. They will also need to give you an Insurance Backed Guarantee, again ask to see a membership certificate, feel free to ask questions, if they ask for a deposit make sure their Insurance Backed Guarantee has deposit protection. Should a deposit be required it should not exceed more than 10% of the contract value. One thing you will need to clarify is how you will pay the balance, a lot of companies these days do not accept personal cheques and will only accept cash, bank or building society cheques or bankers drafts, the reason I mention this is you will need to make an arrangement with your bank / building society. If you decide to pay in cash make sure the installer counts the money in front of you, unless in sealed bags, and gives you a receipt or signs your contract to say you have paid in full. Back to the sale, if and only when you are satisfied can you sign any contract, salespeople have many tricks up their sleeves to get your signature.they may tell you they are the trade rep and do not work on commission, trust me all double glazing reps work on a commission only basis. they may also tell you that they will have to ring their manager to try to get you on some special discount scheme ,but only if you sign on the night, before signing any contract make sure you have read and understand what you are signing for, most companies have their terms and conditions on the back of the contract, take time to read this, check the small print. Basics to check before you sign are all the styles correct, glass patterns and areas needing safety glass and means of escape or trickle ventilation are indicated .Also check that window colour, handle colour etc. is correct. Check that your method of payment is correct, and if you have paid a deposit it is written down along with an outstanding balance. It is crucial that you check the contract as most of them are legally binding. Contracts should be on NCR paper, the company should have a copy and you have an identical one. Please don't let what I have told you put you off improving your home, this is only a guide, there are some very good reputable companies out there. Remember good companies are only trying to enhance the look of your home, save you money on heating, cutting down your maintenance i.e painting and keeping your valuables safe from burglars. Thank you for taking time to read this, next time I'll write about the survey. Once you are happy and you have signed the contract you can expect a phone call or email to book an appointment to carry out the survey. Most company surveyors are ex installers so they have a greater product knowledge. One very important thing to remember is that the survey SUPERSEDES THE CONTRACT. In short whatever you sign for on the survey is what the factory will make and the fitters will arrive with to install. When the surveyor arrives he will either bring a copy or ask for your copy of the contract. He will use this as a guide in respect of the window styles glass patterns etc. 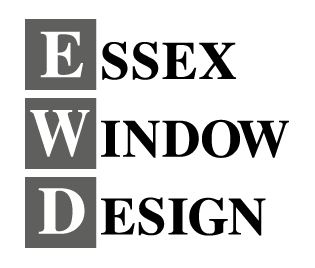 He will need to ensure that the installations complies with building regulations document L.
All replacement window installations in England & Wales are subject to BUILDING REGULATIONS. 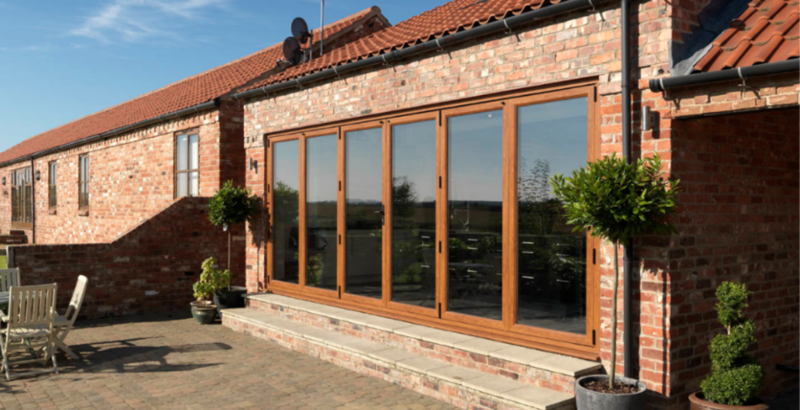 This regulation in particular affects the minimum levels of insulation that replacement windows must have when fitted in your home. Levels of insulation are measured as U values. The lower the U value, the better the insulation level. In future what we may have in the past have referred to as "normal" double-glazing - i.e. two pieces of glass separated by a spacer bar is very unlikely to conform to building regulations. To get the required level of insulation it's almost certain some sort of LOW E glass (typically Pilkington K in the UK - although there are other brands) will have to be used. It may also be necessary for the sealed double glazed units to be Gas Filled (probably Argon). Installations will also have to conform to the following.